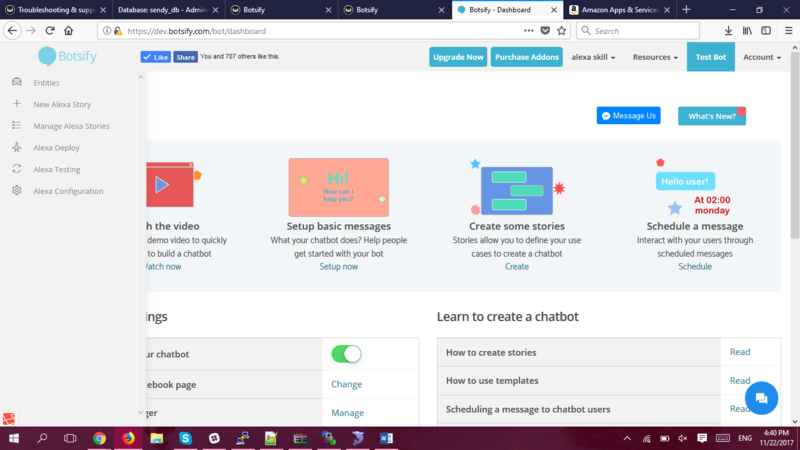 Now the page displayed to you is the dashboard for your Alexa skill. And in the left side menu you have various options to create/modify/configure your Alexa skill. 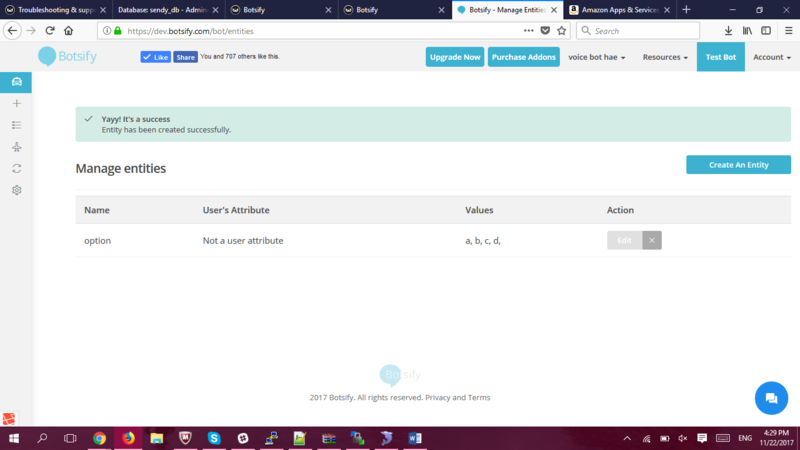 You would be showing entities page and list of entities would be there which you will create. 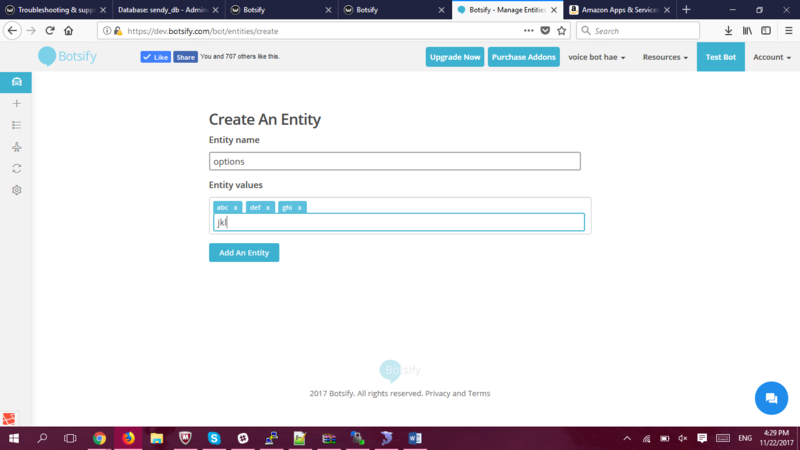 Click on “Create an Entity” button, here your will create the entities of options for your every questions. Give any name of your entity which you can identify that this entity is for that particular question. Here you will define what user will say and in response to that what Alexa would respond. In the first “User Says” write anything in response to which you want Alexa to ask question. 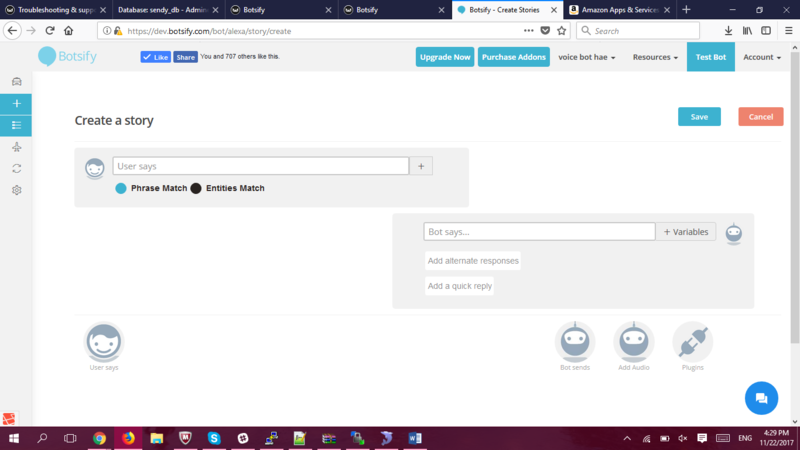 Make sure that phrase match is selected. Your story would be saved now. Before deploying your skill to Alexa it is necessary to configure your skill. Configuration require specific information like when your skill would Launch/stop/start/end what Alexa will response. To configure your skill select “Alexa Configuration” from the left side menu. Input the invocation name for your skill. Invocations name is the name that if your skill is enabled and whenever your will Speak that particular name Alexa will activate your skill. 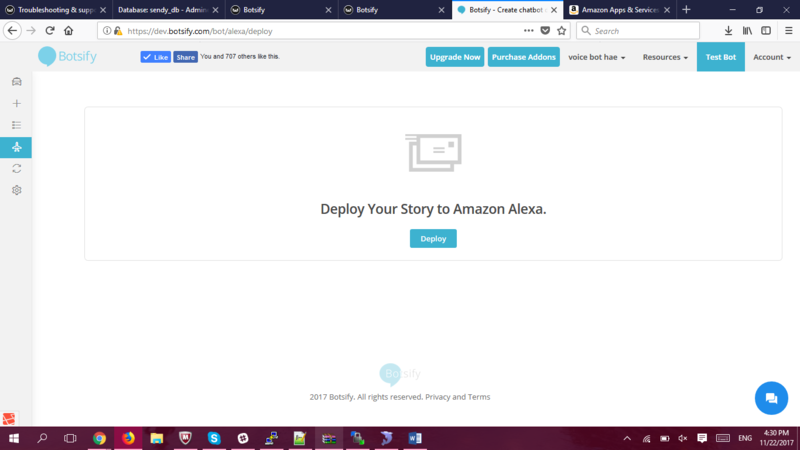 Input End Message, end message is spoken by Alexa when your skill is ending after any successful execution of any story. Input Help Message. If any user does not know about your skill and says “Help” after activating your skill. Then Alexa would tell this help message to user. Here you will write how a user can use your skill. From the left side menu select “Alexa Deploy” option. On the deploy page you have the “Deploy” button at the centre of the page. 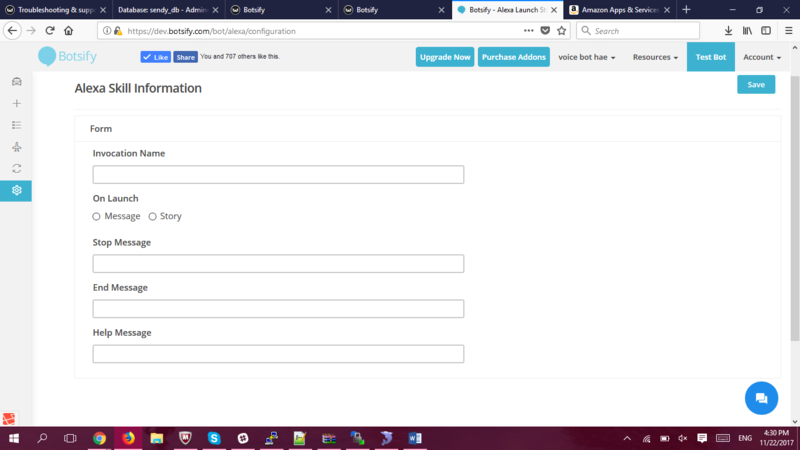 Click on “Deploy” button it will ask you to input your Amazon Developer account for skill to be deployed on you Amazon Account. After you sign in onto Amazon developer account your skill will be processed to deploy. It will take few seconds to deploy, meanwhile you will be shown processing. If you want to test your skill before testing it on actual device. This option is also available for you. 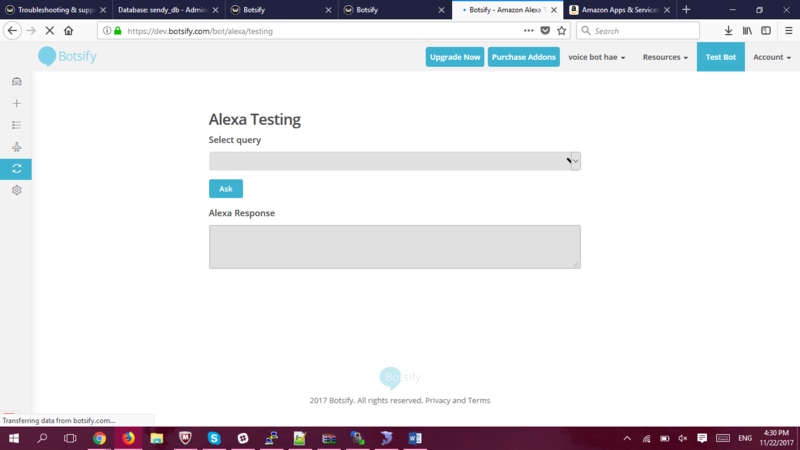 Select “Alexa Testing” from the left side menu. The testing page will be opened. Make sure you are login to your Amazon developer account. If you are not logged in a Modal would be shown for login. 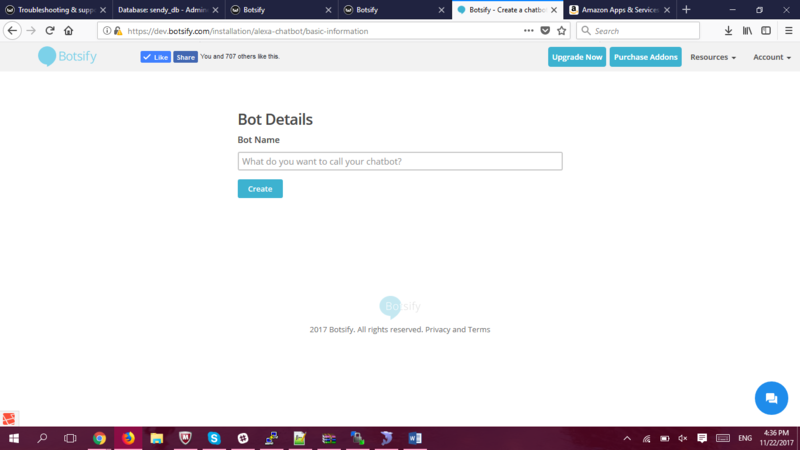 Login is necessary for testing your Alexa skill. 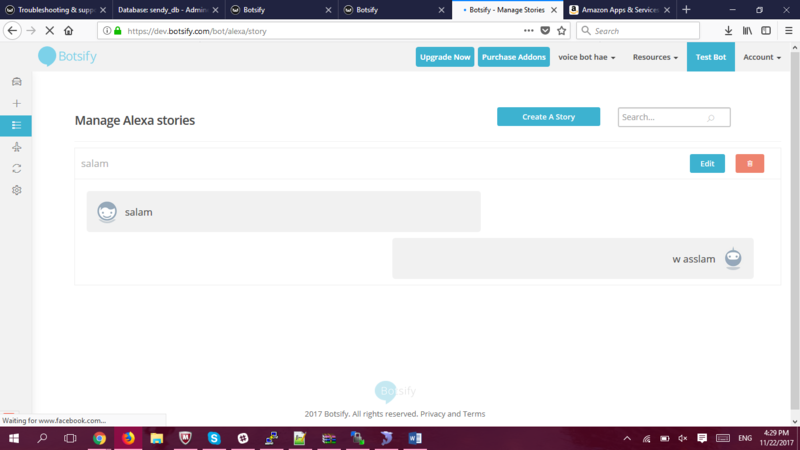 On the page there is one drop down where all of your story queries are listed. Select your query from the drop down and click on “Ask” button. The Alexa response will be displayed on “Alexa Response” fields in text format.